What is Therapy Assisted Online (TAO) Self Help? TAO Self Help is an interactive, web-based program that provides assistance to help overcome anxiety, depression, and other concerns. TAO is based on well researched and highly effective strategies. You can choose to view short, but helpful videos, take part in brief exercises, use logs to track moods and progress, and have access to a Mindfulness Library. Click the image below to watch a video and learn more about TAO Self Help! Who is eligible for TAO Self Help? All UCF students are eligible for TAO Self-Help. You just need a Knights email address. You will have access to highly effective therapeutic modules 24/7. You can sign up any time of day or night, and without having to travel to Counseling and Psychological Services (CAPS). Signing up for TAO Self Help is easy! Enter your UCF email address, enrollment key, and other basic information. For UCF Staff and Faculty, enter: Help44Helper! Your enrollment key is entered only once, upon registering. Check your UCF email to finish your account set up. Now, you have the freedom to explore the TAO modules at your leisure and when you have time in your schedule. 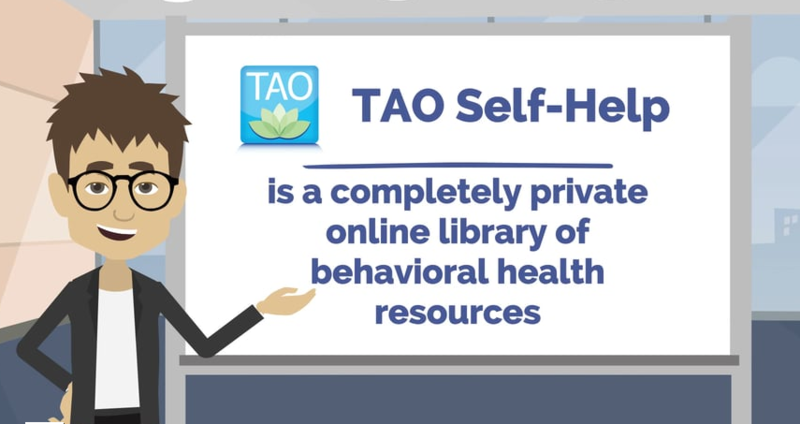 For further questions about TAO Self Help, you may contact TAO at support@taoconnect.org.